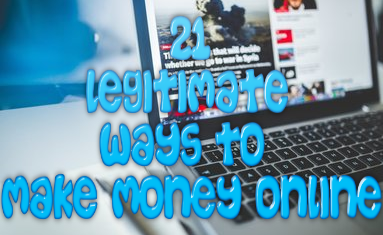 In today’s world, you would be surprised how many different ways there are to make real money online. 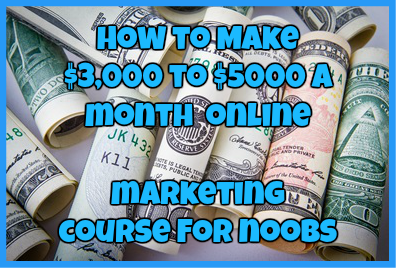 You can make money doing virtually anything that you want, whether it is selling dog food or becoming an affiliate marketer. There is no better place to start your online money making venture than Craigslist.org. I have made so much money on Craigslist that if I actually told you the amount, a majority of you wouldn’t even believe me. So, instead I’m going to teach you how to make money on Craigslist and all of the ways I am going to teach you requires no money to be invested on your part. 1. Sign up for a Clickbank affiliate account. 2. Choose a product that you want to promote. 4. Begin posting 3 ads a day on craigslist to gain prospects. 5. Email those prospects with your affiliate link. 6. Sit back and let the money roll in. Guys, it literally is as simple as that. However, I do not recommend only using 3 ads. Post 3 ads a day, every day until you have at least 50-100 ads running at once. If you have this many ads, I do not doubt that you can at least generate anywhere from $100-$300 a day or more. 1. Go to a local garage sale. 2. Purchase some junk items. 3. Create a phone verified craigslist account. 4. Place an ad posting those items for sale at whatever price you want. 5. Wait for people to email you. There are so many people that I know currently doing this and some of them are making more money than I am. Another alternative is to take items that you have and no longer and post an ad to sell them. While it does require a little money on your part, especially if you have to buy these items, it is well worth it in the end. I personally use Craigslist to make money online so I have nothing bad to say about it. Not only is it incredibly easy, but it requires almost little to no work on your part. I highly recommend starting with affiliate marketing because that is absolutely free to do. Remember, the key is posting as many ads as possible so that in a month or so you can make literally as much money as you want. Are you an affiliate marketer currently using Craigslist? Have you flipped products on this platform? If so, I would love to hear from you and to gain some insight into your experience. Don’t hesitate to leave me a comment below. im having so trouble with the craigslist ads. Can you help? Sure thing. What kind of trouble are you having? However, Craigslist do NOT allow any affiliate marketing as such to be advertised! NO affiliate links or business opportunities, etc! I have had a good L@@K around their “banned” items and there are plenty! Perhaps they have changed their strategy recently? I had joined under you but after log in it says as a starter your country is not allowed only as a Premier member only I can work. Then a premium membership is what you need. I apologize for the inconvenience of that. How can you bypass posting the ads in Craigslist as they are currently blocking them.? Any workaround you can suggest? The big thing with posting ads on Craigslist is to have excellent ad copy as well as an IP changer and multiple accounts. So if you use an IP changer, post ONE ad per account, resent your cookies, change the IP again, etc. You can get away with affiliate marketing on that platform. But again this is what I have recently heard and read because I do not advertise on Craigslist myself. Too much of a hassle in my opinion. Hi Nessa – I’ve posted on CL for years but never considered Affiliate marketing. Can you tell me what products you have the most success with on CL and how you entice folks to actually purchase? thanks! I honestly have a ton of success with CPA offers on Craigslist. Pretty much all I do is gain email addresses and get paid for it so I really don’t have to wait for sales of a product. I recommend trying CPA offers, but without a site it can be hard to get accepted into these programs. Also look on Clickbank and Clicksure for a bunch of products to promote. What sections are best to post in? When you were doing CPA offers on craigslist. Were you doing direct linking to the offers, or did you build a landing page to warm up visitors first before they are redirected to the offer. 2. Secondly, about how many ads were you posting per day? I hope so as well. Nothing is more frustrating then to have products but not be able to sell them. Good luck!